This book bridges scholarly forms of inquiry and practitioners daily activities. It introduces inquiry as a process of relational construction, offering resources to practitioners who want to reflect on how their work generates practical effects. There are hundreds of books on research, but in keeping with social scientific traditions, many emphasize method and neglect broader, overarching assumptions and interests. Further, most are written in ways that speak to those in the academic community and not to a wider audience of professionals and practitioners. 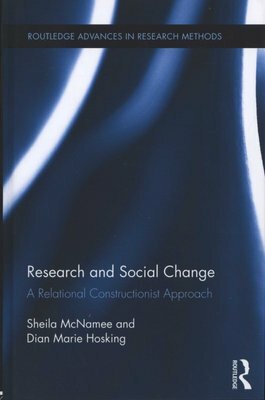 The present text lays out relational constructionist premises and explores these in terms of their generative possibilities both for inquiry and social change work. It is applicable for professionals in the fields of social services, education, organizational consulting, community work, public policy, and healthcare. Using accessible language and extensive use of case examples, this book will help reflective practitioners or practice-oriented academics approach inquiry in ways that are coherent and consistent with a relational constructionist orientation. 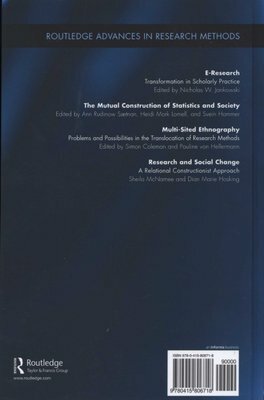 This volume will be useful for undergraduates, graduate students, and practitioners engaged in professional development, with particular use for those scholar-practitioners who want to reflect on and learn from their practice and who want to produce practical results with and for those with whom they are working. It is also aimed at those scholar-practitioners who want to contribute to a wider understanding of how social relations (groups, organizations, communities, etc.) can work effectively.